There were a bunch of celebrities and politicos flitting around Santa Fe. I forget all the musicians, wasn't paying too much attention. 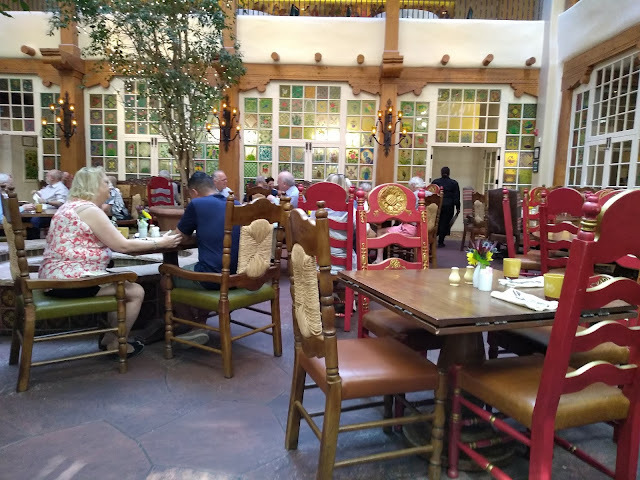 Karl Rove was two tables over when we had breakfast at the La Fonda. He seems almost balanced compared to ... never mind. I made a feeble and insincere attempt to charge Morty and my breakfast to Rove's room before fessing up with our server. Laura Bush was at Whitehawk with her entourage. A tall guy walks in to my booth with his wife. "Wait, I know you," I said. He smiled. He was out of context, I couldn't quite place him. 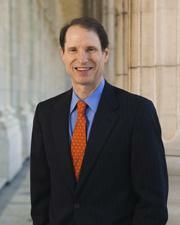 His wife tells me that he is actually Ron Wyden, the senator from Oregon. Maybe my favorite Senator, definitely the greatest defender of civil liberty and privacy rights we have in our nation. I went full bore sycophant. "I love you man." After extricating me from my prostrate and genuflecting grip on his ankles, he thanked me very graciously for my overbearing affections. Said he would have his homies take a look at my blog. Wyden can appear quite stiff and wooden on the television, but he is a loose, easygoing, great guy in person. Real thrill for me. We need more courageous men like Wyden, men with heart and sekel.